Haridwar is The Gateway To The four pilgrimages (Char DhamYatra) Gangotri, Yamunotri, Badrinath and Kedarnath of Uttarakhand. Haridwar Is An Important Pilgrimage City And Municipality In The Haridwar District Of Uttarakhand, India. The River Ganges, After Flowing For 253 Kilometres (157 Mi) From Its Source At Gaumukh At The Edge Of The Gangotri Glacier, Enters The Indo-Gangetic Plains Of North India For The First Time At Haridwar, Which Gave The City Its Ancient Name, Gangadwára. It’s Also Your Starting Point On The Journey To The Sacred Sources Of The Rivers Ganga And The Yamuna. According To Legend, Prince Bhagirath Performed Penance Here To Salvage The Souls Of His Ancestors Who Had Perished Due To Sage Kapil’s Curse. The Penance Was Answered And The River Ganga Trickled Forth From Lord Shiva's Locks And Its Bountiful Water Revived The Sons Of King Sagara. In The Tradition Of Bhagirath, Devout Hindus Stand In The Sacred Waters Here, Praying For Salvation Of Their Ancestors. Haridwar Is The Headquarters And The Largest City Of The District. Today, The City Is Developing Beyond Its Religious Importance, With The Fast Developing Industrial Estate Of State Infrastructure And Industrial Development Corporation (SIDCUL), And The Close By Township Of Bharat Heavy Electricals Limited In Ranipur, Uttarakhand As Well As Its Affiliated Ancillaries. 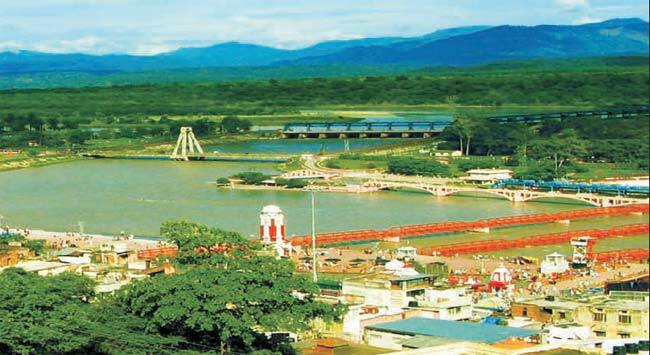 A Paradise For Nature Lovers, Haridwar Presents A Kaleidoscope Of Indian Culture And Civilization. In The Scriptures It Has Been Variously Mentioned As Kapilsthan, Gangadwar And Mayapuri. It Is Also An Entry Point To The Char Dham (the Four Main Centers Of Pilgrimage In Uttarakhand Viz, Badrinath, Kedarnath, Gangotri, And Yamunotri), Hence, Shaivaites (followers Of Lord Shiva) And Vaishnavites (followers Of Lord Vishnu) Call This Place Hardwar And Haridwar Respectively, Corresponding To Har Being Shiv And Hari Being Vishnu. Haridwar Came Under The Rule Of The Maurya Empire (322–185 BCE), And Later Under The Kushan Empire (c. 1st–3rd Centuries). Archaeological Findings Have Proved That Terra Cotta Culture Dating Between 1700 BCE And 1200 BCE Existed In This Region. First Modern Era Written Evidence Of Haridwar Is Found In The Accounts Of A Chinese Traveller, Huan Tsang, Who Visited India In 629 AD. During The Reign Of King Harshavardhan (590–647) Records Haridwar As 'Mo-yu-lo', The Remains Of Which Still Exist At Mayapur, A Little To The South Of The Modern Town. Among The Ruins Are A Fort And Three Temples, Decorated With Broken Stone Sculptures, He Also Mentions The Presence Of A Temple, North Of Mo-yu-lo Called 'Gangadwara', Gateway Of The Ganges. The Ganges Emerges From The Mountains To Touch The Plains. The Water In The River Ganges Is Mostly Clear And Generally Cold, Except In The Rainy Season, During Which Soil From The Upper Regions Flows Down Into It. The River Ganges Flows In A Series Of Channels Separated From Each Other Called Aits, Most Of Which Are Well Wooded. Other Minor Seasonal Streams Are Ranipur Rao, Pathri Rao, Rawii Rao, Harnaui Rao, Begam Nadi Etc. A Large Part Of The District Is Forested, And Rajaji National Park Is Within The Bounds Of The District, Making It An Ideal Destination For Wildlife And Adventure Lovers. Rajaji Is Accessible Through Different Gates; The Ramgarh Gate And Mohand Gate Are Within 25 Km Of Dehradun, While The Motichur, Ranipur And Chilla Gates Are Just About 9 Km From Haridwar. Kunao Gate Is 6 Km From Rishikesh, And Laldhang Gate Is 25 Km From Kotdwara. Haridwar District, Covering An Area Of About 2360 Km², Is In The Southwestern Part Of Uttarakhand State Of India. Haridwar Is Situated At Height Of 314 Metres From The Sea Level, Between Shivalik Hills In The North And Northeast And The Ganges River In The South. Haridwar Is A Picturesque Destination Affording Enchanting Views Throughout The Year. The Right Time To Visit Would Be February, March, August-October. In July There Is A Festival Called Savan where Thousands Of People Flock To Haridwar. Major Roads Are Blocked And Hotels Are Crowded. It Is Better To Avoid Travelling To Haridwar During That Time. This Sacred Ghat Was Constructed By King Vikramaditya (1st Century BC) In Memory Of His Brother Bhrithari. It Is Believed That Bhrithari Came To Haridwar And Meditated On The Banks Of The Holy Ganges. When He Died, His Brother Constructed A Ghat In His Name, Which Later Came To Be Known As Har-Ki-Pauri. The Most Sacred Ghat Within Har-ki-Pauri Is Brahmakund. The Evening Prayer(Aarti) At Dusk Offered To Goddess Ganga At Har-Ki-Pauri (steps Of God Hara Or Shiva) Is An Enchanting Experience For Any Visitor. A Spectacle Of Sound And Colour Is Seen When, After The Ceremony, Pilgrims Float Diyas (floral Floats With Lamps) And Incense On The River, Commemorating Their Deceased Ancestors. Thousands Of People From All Round The World Do Make A Point To Attend This Prayer On Their Visit To Haridwar. A Majority Of Present Ghats Were Largely Developed In The 1800s. Chandi Devi Temple, Haridwar The Temple Is Dedicated To Goddess Chandi, Who Sits Atop The 'Neel Parvat' On The Eastern Bank Of The River Ganges. It Was Constructed In 1929 A.D. By The King Of Kashmir, Suchat Singh. Skanda Purana Mentions A Legend, In Which Chanda-Munda, The Army Chief Of A Local Demon Kings Shumbh And Nishumbha Were Killed By Goddess Chandi Here, After Which The Place Got The Name Chandi Devi. It Is Believed That The Main Statue Was Established By The Adi Shankracharya In 8th Century A.D. The Temple Is A 3 Km Trek From Chandighat And Can Also Be Reached Through A Ropeway. Mansa Devi Temple, Haridwar Situated At The Top Of Bilwa Parwat, The Temple Of Goddess Mansa Devi, Literally Meaning The Goddess Who Fulfills Desires (Mansa), Is A Popular Tourist Destination, Especially Because Of The Cable Cars, Which Offer A Picturesque View Of The Entire City. The Main Temple Houses Two Idols Of The Goddess, One With Three Mouths And Five Arms, While The Other One Has Eight Arms. Maya Devi Temple, Haridwar Dating To The 11th Century, This Ancient Temple Of Maya Devi, The Adhisthatri Deity Of Hardwar, Is Considered One Of The Siddhapethas And Is Said To Be The Place Where The Heart And Navel Of Goddess Sati Had Fallen. It Is One Of Few Ancient Temples Still Standing In Haridwar, Along With Narayani Shila Temple And Bhairav Temple. Daksheswara Mahadev Temple The Ancient Temple Of Daksha Mahadev Also Known As Daksheswara Mahadev Temple, Is Situated In The South Kankhal Town. According To Hindu Texts, King Daksha Prajapati, Father Of Dakshayani, Lord Shiva's First Wife, Performed A Yagna, To Which He Deliberately Did Not Invite Lord Shiva. When He Arrived Uninvited, He Was Further Insulted By The King, Seeing Which Sati Felt Infuriated And Self-immolated Herself In The Yagna Kund. King Daksha Was Later Killed By The Demon Virabhadra, Born Out Of Shiva's Anger. Later The King Was Brought To Life And Given A Goat's Head By Shiva. Daksha Mahadev Temple Is A Tribute To This Legend. A Multi-storey Temple, Dedicated To Bharat Mata, Mother India, With Each Floor Depicting An Era In The Indian History, From The Days Of Ramayan Till India's Independence. The Temple Was Built Under The Auspicious Blessings Of The Honorable Former Shankaracharya His Holiness Maha-Mandleshwar Swami Satyamitranand Giriji Maharaj. Swami Satyamitranand Foundation Was Registered In 1998. Since The Inception Of The Foundation, Several Other Branches Have Been Opened, Namely In Renukut, Jabalpur, Jodhpur, Indore And Ahmedabad. The Bharat Mata Mandir Was Inaugurated On 15 May 1983 By Rt.Hon.Smt. Indira Gandhi And Stands Along The River Ganges In Haridwar. It Is Situated Adjacent To The 'Smanvaya Ashram', And Stands Eight Stories Tall To The Height Of 180 Feet (55 M). Each Floor Is Devoted To A Particular Theme. On The First Floor Is The Statue Of Bharat Mata. The Second Floor ‘Shoor Mandir’ Is Dedicated To The Well Renowned Heroes Of India. The Third Floor ‘Matru Mandir’ Is Dedicated To The Achievements Of India’s Revered Women; Such As Meera Bai, Savitri, Maitri Etc. The Great Saints From Various Religions, Including Jainism, Sikhism And Buddhism Are Featured On The Fourth Floor ‘Sant Mandir’. The Assembly Hall With Walls Depicting Symbolic Coexistence Of All Religions Practiced In India And Paintings Portraying History And Beauty In Various Provinces Of India, Is Situated On The Fifth Floor. The Various Forms Of The Goddess Of Shakti Can Be Seen On The Sixth Floor, Whilst The Seventh Floor Is Devoted To All Incarnations Of Lord Vishnu. The Eighth Floor Holds The Shrine Of Lord Shiva From Which Devotees Can Gain A Panoramic View Of Himalayas, Haridwar, And The Splendour Of The Entire Campus Of Sapta Sarovar. A Picturesque Place Near Haridwar, Where Seven Great Sages Or Saptarishis, Namely Kashyapa, Vashisht, Atri, Vishwamitra, Jamadagni, Bharadwaja And Gautam, Said To Have Meditated. The Ganges Split Herself Into Seven Currents At This Place So That The Rishis Would Not Be Disturbed By The Flow. Being A Place Of Intense Religious Significance, Haridwar Also Hosts Several Religious Festivals Throughout The Year; Popular Among Them Are The Kavad Mela, Somvati Amavasya Mela, Ganga Dashara, Gughal Mela, In Which Around 20-25 Lacs (2-2.5 Million) People Take Part. Apart From This, There Is The Kumbh Mela Which Takes Place Once In Every Twelve Years, When The Planet Jupiter (Brihaspati) Comes Into The Sign Aquarius (Kumbha). First Written Evidence Of The Kumbha Mela Can Be Found In The Accounts Of Chinese Traveller, Huan Tsang Or Xuanzang (602 - 664 A.D.) Who Visited India In 629 AD. According To The Imperial Gazetteer Of India, An Outbreak Of Cholera Occurred At The 1892 Mela At Haridwar, Which Lead To The Rapid Improvement Of Mela Arrangement By The Authorities And The Formation Of 'Haridwar Improvement Society', And In 1903 About 400,000 People Attended The Fair. A Stampede Took Place Near Har-ki-Pauri, During The Kumbh Mela In 1980s, In Which 600 People Were Killed And Scores Injured. The 1998 Maha Kumbh Mela Saw Over 80 Million Pilgrims Visiting This City, To Take A Dip In The Holy River, The Ganges. Haridwar Is One Place Where Fairs Are Being Organized With Full Enthusiasm Round The Year, Such As Somwati Amavasya, Kartik Poornima, Shravan Poornima, Ganga Dussehra And Other Important Bathing Dates Of Hindu Calendar. The Kanwad Mela During The Month Of Shravana Is Very Popular Among Masses In Which Lacs Of Devotees Of Lord Shiva Come To Haridwar To Take Holy Water Of River Ganga. Apart From These, Kumbh Mela And Ardh Kumbh Mela At The Interval Of 12 And 6 Years Respectively Do Not Need Any Introduction. District Administration Had Also Organised 'Haridwar Mahotsava', A 3-4 Day Cultural Festival On The Bank Of River Ganga And 'Ayurveda Mahotsava'. Besides This 'Urs' Is Organized Annually At The Holy Dargah Of Piran Kaliyar In Which People Of All Sects Participate And Pray For Their Well Being. Following Table Shows Month Wise Festivals/fairs Arranged In This District And Approximate No. Of Visitors To Them. Haridwar Is Headquarters Of Haridwar District And It Has Good Connectivity With The Other Towns Of The District And The State. National Highway 58, Between Delhi And Mana Pass Passes Through Haridwar Connecting It With Ghaziabad, Meerut, Muzzafarnagar, Roorkee And Badrinath And National Highway 74 Originating From Haridwar Connects It With Kashipur, Kichha, Nagina, Pilibhit And Bareilly. The Haridwar Railway Station Located In Haridwar Is Under The Control Of The Northern Railway Zone Of The Indian Railways. It Has Direct Links The Major Cities Of India Such As Delhi, Mumbai, Kolkata, Chennai, Indore, Jaipur, Ahmedabad But It Lacks Direct Connectivity To Major Cities Of Central India Namely Jabalpur, Bhopal, Gwalior And Nagpur. 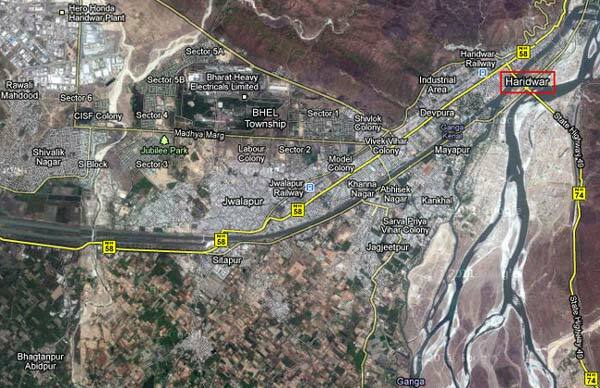 The Nearest Domestic Airport Is Jolly Grant Airport In Dehradun Which Is A Located 35 Km From Haridwar. Indira Gandhi International Airport In New Delhi Is The Nearest International Airport. Haridwar Is Rapidly Developing As An Important Industrial Township Of Uttaranchal Since The State Government Agency, SIDCUL (State Infrastructure & Industrial Development Corporation Of Uttranchal Ltd.) Set Up The Integrated Industrial Estate In A District Attracting Many Important Industrial Houses Which Are Setting Up Manufacturing Facilities In The Area. Haridwar Has A Thriving Industrial Area Situated At The Bypass Road, Comprising Mainly Ancillary Units To PSU, BHEL, Which Was Established Here In 1964 And Currently Employs Over 8000 People. Haridwar - Has A Pleasant Climate For Many Months Of The Year. As Its Location Is In The Hilly Terrains, The Climate Never Becomes Extreme Type. Thus Haridwar Is One Such Tourist Spot That Can Be Visited Any Time Of The Year. The Weather Of Haridwar Can Be Studied With A Glimpse Towards Its Climatic Conditions. The Maximum Temperature Recorded So Far Is 27.7 Degree Celsius And The Minimum Temperature Of Haridwar Is 14.6 Degree Celsius. In The Months Of Summer The Temperature In Haridwar Varies From 35 Degrees To 45 Degrees Celsius. The Temperature Ranges From 10 Degrees To 30 Degrees Celsius In The Months Of Winter. The Weather Of Haridwar Often Becomes Unpredictable. There Are Frequent Precipitation That Takes Place. The Annual Mean Rainfall In Haridwar Is About 2136.7 Mm. The Holy City Of Haridwar Lies At The Bank Of River Ganga. The Region Is Surrounded By The Himalayas And Falls Under The Climatic Conditions Of The Western Part Of The Himalayas. The Day Remains Pleasant And Sunny With Comparatively Cold Evenings. The Winters Are Very Cold And The Summer Season Is Mild And Moderate Followed By A Good Rainfall In Monsoon. Summer Season In Haridwar :- During The Months From March To June. The Maximum Temperature That You Can Expect During The Summer Is Around Summer 20 °C To 40 °C. Monsoon Season In Haridwar :- Monsoon Season Is From July To September And During This Time Most Activities Are Suspended Due To The Heavy Blast Of Rains. Rainfall Is Highest In The Month Of August. During The Month Of October And November The Conditions Are Pleasant And Temperate. Winter Season In Haridwar :- Winter Season Can Be Cold In The Town And The Temperatures Can Be Expected To Around 6 °C. The Barometer Rises Up To A Maximum Of 16 °C During The Winter Months. Wollen Clothing Is Essential During This Period.